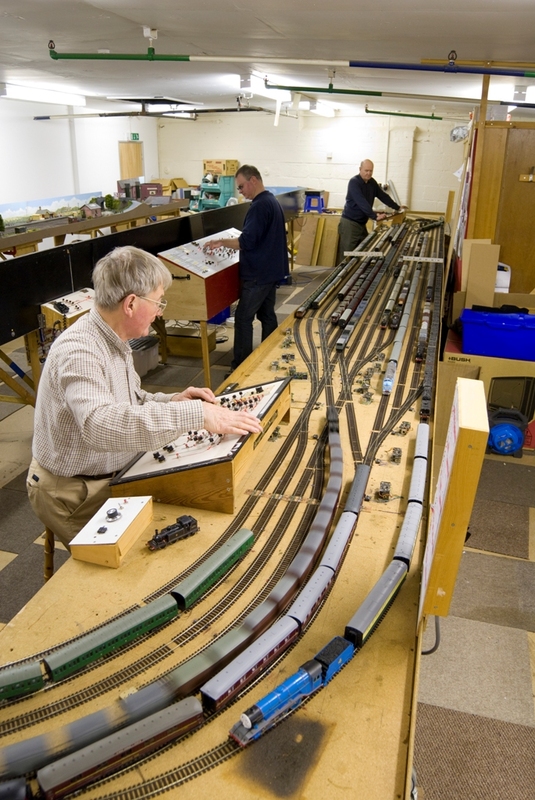 Membership of the Society is open to all persons interested in the promotion of railway modelling and its practices. Honorary on the recommendation of the committee, those who have given outstanding service to the Society or the model railway hobby. Any persons proposed for Honorary Membership will be approved or otherwise at the Society’s AGM. * Junior Members (between 12 & 18 years of age) are encouraged to join the Society, however they can only attend the clubrooms in the company of a parent / guardian. Whilst the Society wishes to encourage the younger generations to become involved in the railway modelling hobby, it cannot accept responsibility for un-accompanied minors. Any person wishing to become a member may do so after three attendances. Our annual membership runs from January to December but those wishing to join during the year will be asked to pay a pro-rata fee. On joining, all new members will be issued with a copy of the Constitution and other documentation relating to the society’s expectations of members in the club rooms and also in the safe use of the society’s equipment. From March 2019, the General Data Protection Regulation 2018 will be written into UK law. The legislation applies to all records, either paper or computer based and all individuals who give personal data to organisations have the right to determine how it should be used. Organisations collecting personal data, for whatever reason, must state the reason why it is being collected and seek the individual’s permission to use it in those ways. The Society has published guidance notes on the implications of the General Data Protection Regulation 2018 and these are available here. Membership includes full use of the Society’s facilities at Leigh Court each and every day throughout the year, excluding Christmas and New Year. We are subject to the conditions as expressed in our lease and we should respect those terms and conditions at all times. Visitors are very welcome but we respectfully request that you contact the Membership Secretary, or one of the other Committee Members shown on our Contacts Page, to ensure someone is there to greet you and to give you a guided tour of our club rooms.